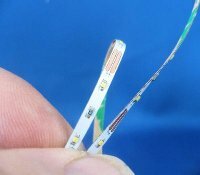 Since becoming involved with miniatures, I have found that a lot of individuals have no idea how to electrically wire their houses. I have never had a problem understanding how to wire a display or house and rather enjoy working with individuals to install electric lighting. 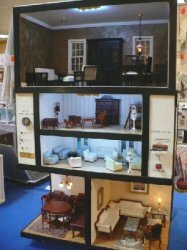 There is a real pleasure seeing the reaction of someone when you turn on the lights in their fully electrified dollhouse for the first time. 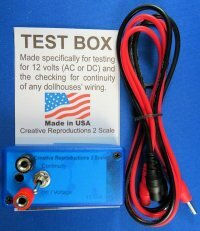 Carl Sahlberg of CR2S now offers on-site custom wiring of dollhouses, room boxes and other displays. You are welcome to call for more information. Below are some jobs I have had the honor to work on. There are lots of different styles, designs and sizes of display units out there. They can all be electrified or even set up with remote controls but first one needs to have an idea as to what they will be doing with that particular display box. Here are a couple of units I have made, electrified, repaired or customized from existing boxes. 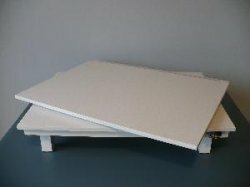 I have made a number of custom turntables. I use heavy duty lazy susans and a special electrical spinner that makes these tables extremely well built. I use hardwoods like Poplar, Cherry, Oak and Walnut or Baltic Birch plywood if it is going to be painted. You are welcome to call for more information.